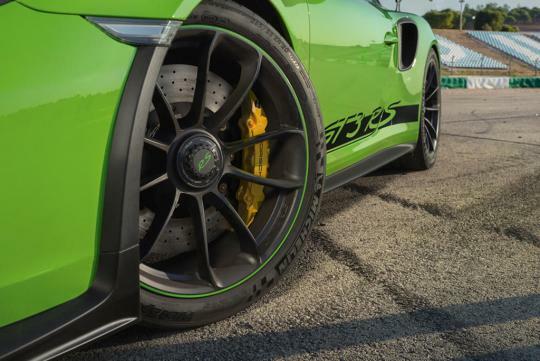 A Porsche Australia senior technical representative has revealed that its optional carbon ceramic brakes aren’t suited for hard use on the track contrary to what we thought so. We have been told many times by many manufacturers that carbon ceramic brakes can be useful for track work as they can run through multiple heat cycles without fading, thereby becoming the default choice for owners who enjoy track days. However, Which Car's interview with Porsche Australia at the launch of the 992-generation Porsche 911, brought to light that these expensive brake systems can degrade quite quickly when abused. “Yes, ceramic discs can degrade if you’re hard on the brakes. Heat build-up will degrade the carbon fibers in the disc, so if you’re doing club days we’d always recommend iron discs,” Paul Watson said. “We learned that lesson a long time back. When we first launched the discs, we told people they’d last virtually for the life of the car and people were doing a number of trackdays and coming back to us saying ‘I’ve worn them out’”, he added on.